The Vice-President Technical Services and Marketing Programs with Canada Pork International expects the importance of China as a destination for Canadian pork to grow as volumes of fresh chilled pork exported to that market increase. “Where do all the Pig Parts Go?” was among the topics discussed in March during the 2019 London Swine Conference. Right now we export to quite a few actually, about 87 countries in total but the top ten markets account for about 94 percent of that volume and about 97 percent of the value so that’s fairly significant. Our top market by volume has always been the U.S.A. and our second largest market by volume is now China. 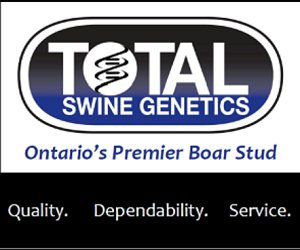 China, again, is going through some challenges right now with African Swine Fever so they will be relying heavily on their import pork partners for supply and Canada is one of those suppliers so we are looking for our volume to grow in China. Other good news for us is that we’ve started pilot projects with some Chinese end user customers for chilled pork which is quite exciting for our industry. We’ve always done well in the frozen sector but this opens up a new category of trade us which we think will build over time and we’ll be working with our Chinese end user partners to fully optimize that opportunity for Canada. Young notes the year before last was a record year for Canadian pork exports world wide and last year was our second highest year in terms volume, over 1.2 million tonnes, valued just over 3.8 billion dollars. He says that represents about a 15 percent increase in the past 10 years. Previous articleOSI Group Acquires Rose Packing Company, Inc.